X-Force is a newly released product from Smok, employs minimalist design with light weight, comes with built-in 2000mAh battery and 7ml large e-juice capacity. It adopts the slanted tank design which is different from other kits, can effectively prevent the leakage problem and increased the fashion sense. 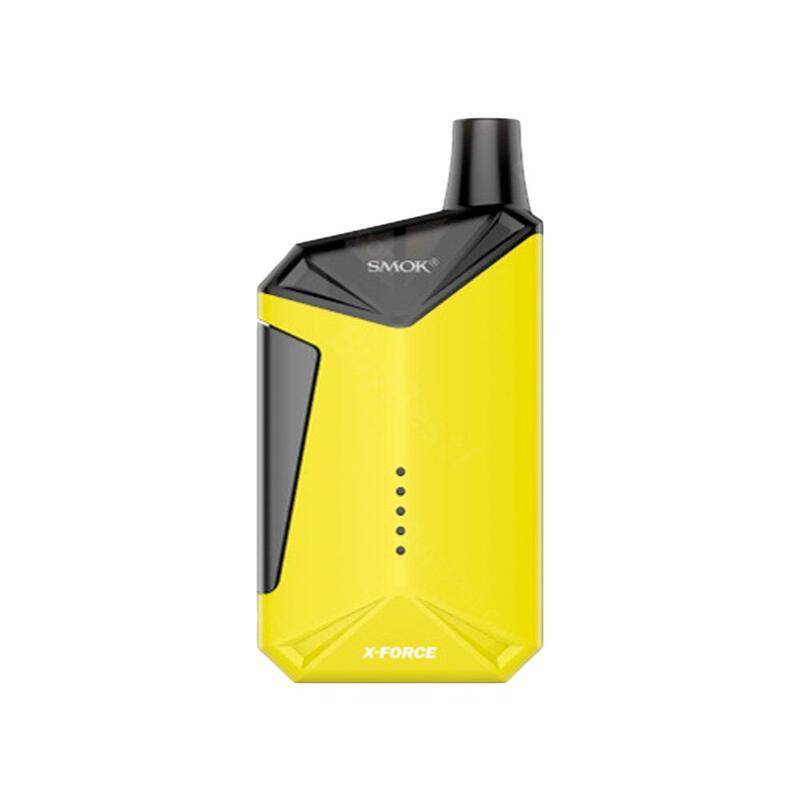 X-Force is a newly released product from Smok, employs minimalist design with light weight, comes with built-in 2000mAh battery and 7ml large e-juice capacity. It adopts the slanted tank design which is different from other kits, can effectively prevent the leakage problem and increased the fashion sense. The 5 LED indicators on the mod can show the battery power clearly and make the mod stylish. What's more, the unique X-Force Coil has changed the pervious layout structure, structurally eliminated the problem of oil frying and oil leaking. It can definitely bring you larger cloud and denser flavor! • Multiple protections to avoid potential risks. • Quick Link: X-Force Coil 0.3ohm. Love this compact and thus portable kit. Wherever I go, I can just take it with me and it certainly can offer me an amazing vaping experience. As it is described online, this small kit presents a strong artistic sense and it indeed looks quite fancy. I really admire this small gadget because of its great qualities like free leaking problems and large battery capacity. Smok is my favorite brand, stylish design, built-in battery and light weight, X-Force Kit is all perfect!